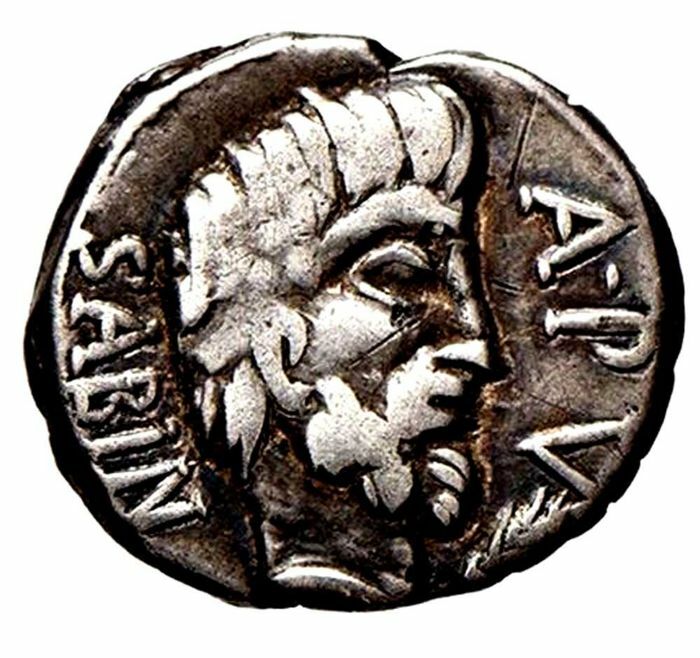 Roman Republic - AR Denarius, L. Titurius L.f. Sabinus (89 BC), Rome. Obv: SABIN behind, bare head of King Tatius right; before, palm branch and A PV. 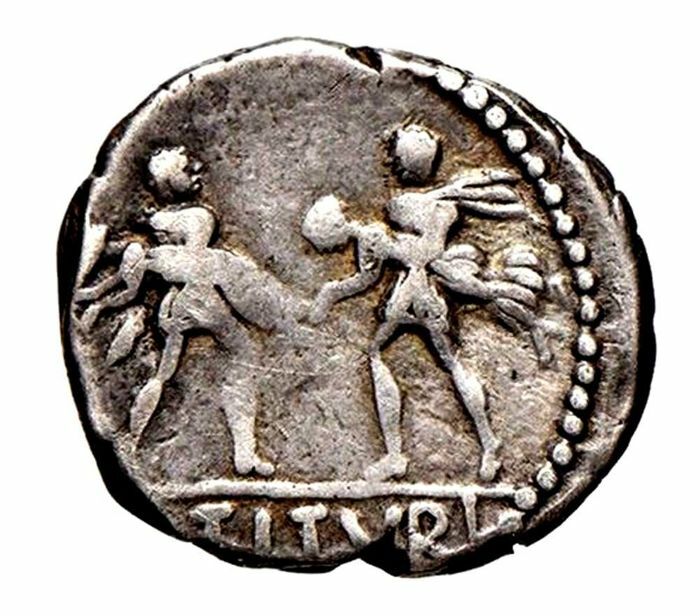 Rev: L TITVRI in exergue, Tarpeia, facing, buried to her waist in shields, with raised hands she tries to thrust off two soldiers who are about to cast their shields onto her.